Based on a psychological approach called acceptance and commitment therapy (ACT) the techniques in this book can help you let go of anger and start living your life to the fullest. Learn to accept angry feelings without judging or trying to manage them. Then, using techniques based in mindfulness practice, discover how to observe your anger feelings without acting on them. Value-identification exercises help you work out what really matters so you can commit to short and long term goals that turn your values into reality. and teach your children how to deal with anger. Also included is a 13 session discussion guide that's perfect for small groups. The 26 elements of this programme help children understand anger and to see that it is linked with other feelings such as fear, loss and jealousy etc. They will begin to realize that anger is not always harmful and negative but should be managed effectively. There are complete teacher instructions, including discussion, circle time activities, photocopiable posters and worksheets, and ideas for plenary and follow-up work. -develop an understanding of others' perspectives. Teaches the tools you need to manage anger in your day-to-day life. You'll get a deeper understanding of how anger affects all areas of your life - both physically and emotionally - and within a few weeks feel the benefits of controlling destructive anger. This is a complete training package for helping people with intellectual or physical disabilities to manage feelings of anger in a constructive and effective way. Introduction to the anger management package. Session 1. Introduction to Anger Management (1). Session 2. Introduction to Anger Management (2). Session 3. Learning about feelings and anger. Session 4. Learning about helpful and unhelpful ways. Session 5. Learning to relax (1). Session 6. Learning to relax (2). Session 7. Learning to think calmly (1). Session 8. Learning to think calmly (2). Session 9. Learning to think calmly (3). Session 10. Learning to handle problems. Session 11. Learning to speak up for ourselves. Session 12. Putting it all together. This detailed manual for practitioners presents a comprehensive state-of-the-art anger management program. The authors are distinguished researchers, teachers and practitioners in the field of anger management, and their book offers a detailed, research-based and empirically validated "anger episode model." This indispensable resource for human service professionals emphasizes how to help clients understand, manage, and prevent unhealthy anger. The book is packed with detailed procedures, examples, exercises, and client handouts. This practical handbook helps adults to understand, manage and reflect constructively on children's anger. Featuring a wealth of familiar and easy-to-learn games, it is designed to foster successful anger management strategies for children aged 5-12. The book covers the theory behind the games in accessible language, and includes a broad range of enjoyable activities: active and passive, verbal and non-verbal, and for different sized groups. The games address issues that might arise in age-specific situations such as sharing a toy or facing peer pressure. They also encourage children to approach their emotions as a way to facilitate personal growth and healthy relationships. This is an ideal resource for teachers, parents, carers and all those working with anger management in children. Excessive anger can destroy your relationships, career, and even health. Scant professional literature has been available on the topic until now. "The Anger Management Sourcebook" shows you how to empower yourself and redirect your anger into constructive behavior. This resource is a must-have tool for you or a loved one as well as professionals dealing with clients who suffer from excessive anger. This text presents a manual-guided cognitive-behavioural anger treatment protocol, grounded in a solid theoretical framework and empirical evidence for its efficacy in clinical practice. The assessment and treatment approach is designed to engage and motivate patients with recurrent and deep-rooted anger problems and their manifestation in serious aggressive behaviour. Accompanying the treatment protocol are a number of worksheets, handouts and exercise sheets for clinicians and clients, which can be accessed online. Includes thirty-seven exercises designed to show you effective skills to help you deal with feelings of rage without losing it. By completing just one ten-minute worksheet a day, you'll find out what's triggering your anger, look at the ways you react, and learn skills and techniques for getting your anger under control. You'll develop a personal anger profile and learn to notice the physical symptoms you feel when you become enraged, then find out how to calm those feelings and respond more sensitively to others. Once you fully understand your anger, you'll be better prepared to deal with your feelings in the moment and never lose your cool. The activities in this workbook will help you notice things that make you angry, handle frustrating situations without getting angry, and effectively communicate your feelings. Most of all, these activities can help you learn to change how you respond to anger. Change is not easy, but with the right frame of mind and set of skills, you can do it. This book is designed to help you understand how both your mind and body respond to anger, how you can handle this anger constructively, and relaxation techniques for dealing with anger in a healthy way, so that you can not only control your anger, but your life as a whole. Offers the first cognitive-behavioral anger management workbook to specifically help women whose lives are negatively impacted by their anger. Acknowledging that anger in children is an emotion that cannot be entirely avoided, this guide for parents outlines a seven-step program to promote healthy anger management in children aged 4 to 14. The advice and experiences of mental health professionals and clinicians who are parents themselves are disclosed, with attention given to the anxiety that many parents feel when their child exhibits angry behavior. Parents learn techniques to help their child deal with stress and anger, build confidence and resilience, and use effective coping behaviors to avoid dysfunctional behavior. Kipnis shares both the riveting story of his own troubled youth-and how he turned himself around-and the successful approaches he has used to help "bad boys" become good men. Angry Young Men offers specific, practical advice for parents, teachers, counselors, community leaders, and justice professionals-- everyone who wants to help at-risk boys become strong, productive, caring, and compassionate men. 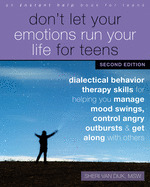 This timely and practical book provides a variety of engaging activities, group discussions, reproducible handouts, and Sharing Circles all designed to help teens develop the knowledge, skills, and techniques necessary for effective conflict resolution. Dealing with stress, anxiety and anger are important skills to learn, but not all kids learn those strategies naturally. The Coping Skills for Kids Workbook can help teach children to calm down, balance their energy and emotions, and process challenging feelings. The author shares over 75 innovative, fun and engaging activities developed from her experience in schools, outpatient mental health clinics and as a mother. Loved by counsellors, educators and parents alike! In this book, you'll find new ways of managing your feelings so that you'll be ready to handle anything life sends your way. Based in dialectical behavior therapy (DBT), a type of therapy designed to help people who have a hard time handling their intense emotions, this workbook helps you learn the skills you need to ride the ups and downs of life with grace and confidence. This book offers easy techniques to help you: Stay calm and mindful in difficult situations, Effectively manage out-of-control emotions, Reduce the pain of intense emotions, Get along with family and friends. Designed to be highly structured, interesting and successful in encouraging the cognitive control of emotions. Every participating child has a workbook for the six two-hour sessions that includes activities and information to explore the specific feelings of being happy, relaxed, anxious or angry. At the end of each session, a project is explained to the child, which is to be completed before the next session. At the start of the next session the project is discussed with the person implementing the program or the group of participants using the program. The Exploring Feelings program is designed to explore the mental world from a scientific perspective. Originally designed for small groups of two to five children 9 and 12 years, with two adults conducting the program, it can easily be modified so that it can be used with just one child. The activities can also be modified to be age appropriate for an adolescent or adult. Intended for children with Asperger�s syndrome, the program can be equally applied to children with High Functioning Autism and Pervasive Developmental Disorder, Not Otherwise Specified (PDDNOS). The author also designed the program so that it does not have to be implemented by a qualified psychologist. A teacher, speech pathologist, occupational therapist or parent could implement the program without having training in Cognitive Behaviour Therapy. This book uses an integration of Buddhis thinking, mindfulness practice, and cognitive-behavioural psychology. It sets out a straightforward program of exercises and advice that can help you move through anger to a richer, more meaningful way of living your life. Anger is a natural response to feelings of hurt, betrayal, and embarrassment, and a reliable outlet when we feel just plain stressed out. Learn to recognize the deeper meaning behind your anger, and change the relationships and situations in your life that frustrate you. The author suggests that anger is a natural human emotion intricately connected with a range of other thoughts and feelings. He stresses that anger, when properly understood, tells us more about our own wants and needs than about the person or situation that has caused the anger. He has developed a set of skills that parents, teachers and counsellors can use to show children how to identify the causes of anger, how to respond to anger in ways that lead to an internal sense of competence and self-control, how to use anger to understand their own emotional situation, and how to develop a greater capacity for empathy toward themselves and others. And he shows how to cope with outbursts - including clear, step-by-step instructions and problem solving skills - how to derail escalating anger, reward good behaviours and recognize when professional help is needed. * Chapters on integrating the Anger Coping Program with schoolwide RTI and positive behavioral supports, intervening with girls and with culturally diverse students, and working with individuals instead of groups. A Workbook for you and your family. In this clearly-structured workbook youill learn the three essential components of parenting an angry child: how to always be prepared to be a good parent, how to teach children anger management skills, and how to relate within the family when strong emotions arise. Youill also find out how to define good parenting and resolve excess emotional baggage from your past to so that you can remain nurturing in the face of a child's anger. The book offers strategies to understand, recognize, label, and deal with the anger your child expresses. Teach your child anger management skills, listen without reacting to his or her anger, use anger alternatives, and address and resolve this difficult emotion within your family structure. Children often struggle to cope with anger. This resource takes a different approach to anger, teaching children how to be angry effectively, rather than telling them not to be angry at all. Suitable for use with children and teenangers aged 5-18, this engaging resource will help children to overcome self-destructive patterns of passive, aggressive behaviour. Anger is a part of life. We can't avoid it, we shouldn't stuff it, and we can't make it go away. Kids need help learning how to manage their anger. This book speaks directly to them and offers strategies they can start using immediately. Blending solid information and sound advice with jokes and funny cartoons, it guides kids to understand that anger is normal and can be expressed in many ways -- some healthy, some not. It teaches them how to recognize anger in themselves and others, how to handle situations and emotions (loneliness, guilt, frustration, fear) that lead to or mask anger, and how to deal with the anger they feel. Young readers learn that violence is not acceptable and there are better, safer, more positive ways to resolve conflicts. They also discover what to do when people around them are angry, how to get help, and how to locate other resources (books, hotlines, school groups) when they need more support. I Just Get So... Angry! Today's adolescents struggle with a range of issues, from anger and low self-esteem to depression and anxiety. In fact, research suggests that at any given time around 10 per cent of students will be suffering from a mental health issue that directly impacts on their education and health. Acceptance and Commitment Therapy (ACT)has been proven to be effective in teaching young people effective, flexible strategies for dealing with the stressors in their life and, as in I Just Want to be... Me!, these principles are once again brought to life in graphic novel form. By following the main character, Andy, through his encounter with the Beast (symbolising his inner anger, hurt, fear and resentment), teenagers will learn how to similarly deal with their own issues and develop a more resilient mental attitude and achieve better emotional balance. This second edition includes an update on the latest theory and studies of anger treatments with a growing range of clients. It provides a series of session plans to assist the therapist in leading a course of treatment to help individuals manage their problematic anger. It also includes further practical techniques to assist those who have difficulty in processing information and/or remembering it and, hence, the tendency to misjudge social communucation. Additional visual aids are here, and worksheets suitable for both sexes. How should parents react when their toddler bites his playmate or their kindergartner confronts a bully? Drs. Brazelton and Sparrow bring their much-admired insight and support to this crucial, and ever-more-timely, childrearing challenge. Being a teen in today's world is hard, and often teens struggle with feelings of anger toward themselves, their parents, and their friends. Using proven effective mindfulness-based stress reduction (MBSR) and dialectical behavioral therapy (DBT), "Mindfulness for Teen Anger" teaches teens the difference between healthy and unhealthy forms of anger. Inside, teens will learn to make better choices, stop overreacting, find emotional balance, and be more aware of their thoughts and feelings in the moment. By cultivating compassion and understanding for themselves and others, teens will be able to transform fear and anger into confidence and kindness. Meet the anger gremlin: a troublesome pest whose favourite meal is your anger, and the more he eats the angrier you get! There's only one way to stop him: starve him of angry feelings and behaviours, and make him disappear. This imaginative workbook shows young people how to starve their anger gremlin and control their anger effectively. Made up of engaging and fun activities, it helps them to understand why they get angry and how their anger affects themselves and others, and teaches them how to manage angry thoughts and behaviours. The tried-and-tested programme, based on effective cognitive behavioural therapy principles, can be worked through by a young person on their own or with a practitioner or parent, and is suitable for children and young people aged 10+. Help children to understand and manage their anger with this fun and imaginative workbook. The Anger Gremlin is a naughty creature and his favourite food is your anger! The more anger you feed him, the bigger and bigger he gets and the angrier and angrier you feel! How can you stop this? Starve the Anger Gremlin of angry thoughts, feelings and behaviours, and watch him disappear! Based on cognitive behavioural principles, this workbook uses fun and engaging activities to teach children how to manage their anger by changing how they think and act � getting rid of their Anger Gremlins for good! Packed full of stories, puzzles, quizzes, and colouring, drawing and writing games, this is an excellent resource for parents or practitioners to use with children aged 5 to 9 years. This successful guide has already helped many tens of thousands of readers understand and manage out-of-control anger in all its forms, from passive�aggression to all-out rage. Dr. Robert Nay presents an effective six-step program grounded in the proven techniques of cognitive-behavioral therapy. Self-quizzes and exercises show how to immediately recognize anger's triggers and early warning signs�and master cooling-off strategies that work in the heat of the moment. By learning specific ways to defuse conflict and express their feelings calmly, readers can put a lid on destructive anger while appropriately asserting their needs. The revised second edition includes a new chapter on resolving longstanding resentments, plus updated examples and resources. If you're a kid whose temper quickly flares, a kid whose anger gets too big, too hot, too fast, this book is for you. 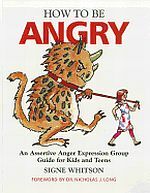 This book guides children aged 6-12 and their parents through the cognitive-behavioral techniques used to treat problems with anger. This interactive self-help book offers step-by-step instructions to teach children a set of anger dousing methods aimed at cooling angry thoughts and controlling angry actions.